GPS enabled smartphones make it easy to get directions, weather, and many more location based services since they automatically know where you are. 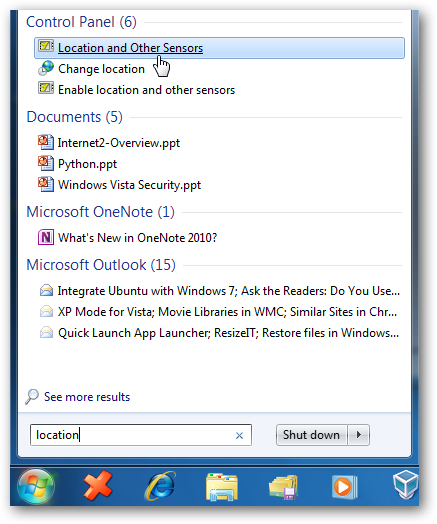 With Geosense, you can bring this functionality to any Windows 7 computer even if it doesn’t have a GPS chip. 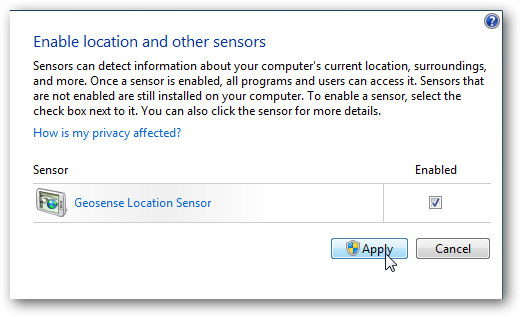 Windows 7 introduced the new Sensors and Location platform that would let Windows automatically respond to environmental changes sensed by light, orientation sensors, or GPS chips. This makes your computer more aware of its surroundings and change itself accordingly. The location platform is especially interesting, as it brings the potential of automatic location based search and maps to your PC. Unfortunately, most laptops today are not equipped with GPS chips. Thanks to Geosense, however, you can still use the location platform. Geosense uses IP lookup, WiFi and Cell tower triangulation, and more to find your location as accurately as possible. Geosense lists itself as a sensor in the Windows Sensors and Locations, so once you’ve installed it, all location-aware applications and services will be able to pickup your location from it. 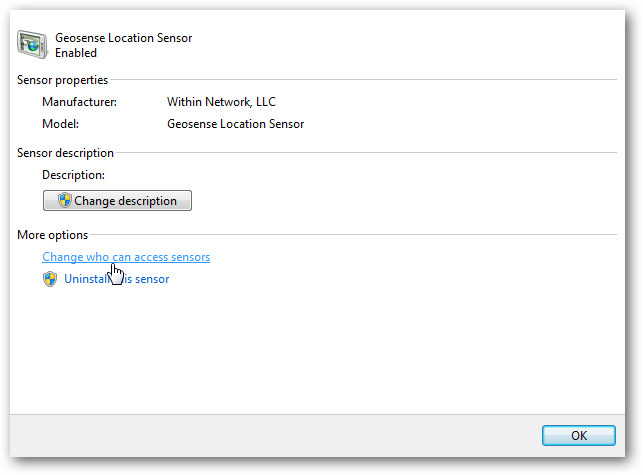 Please note that Geosense only works on Windows 7 Home Premium and higher, as Windows 7 Starter doesn’t include the Sensors and Locations platform. 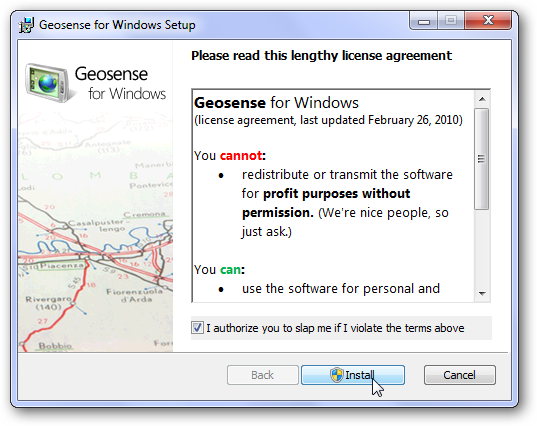 Geosense is a free download for Windows 7, with both 32 and 64 bit editions. Choose the correct one for your computer, and install. While installing, it will ask to install a device driver. Simply press Install. You may also see a UAC prompt, which you should accept as well. When it is finished installing, you are ready to use Geosense. First, lets make sure Geosense is enabled. Enter “Location” in your Start Menu search, and select “Location and Other Sensors”. Here you should see Geosense listed as a sensor. If it is not enabled, click the check box beside it and click Apply. You can see more information about Geosense if you click its name. This page lets you change the description, choose which users can use this sensor, and uninstall it if you choose. There are few applications today that make use of the Location platform in Windows 7, but hopefully we will see more in the near future. 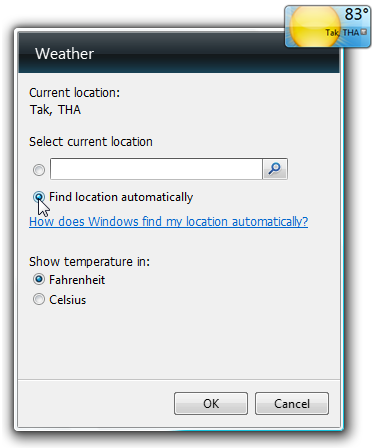 The weather desktop gadget, however, is location aware, so you can easily test out your Geosense location with it. Once Geosense is installed, you will notice a grey logo beside your city’s name on the gadget that shows that a sensor is available. Click on the gear to open the options pane. Here you can now select “Find location automatically” and it will display the weather for the location detected by Geosense. Now your gadget should show a blue icon beside the city name, showing that the location is coming from your location sensor. Unfortunately, sometimes Geosense cannot detect your location. If so, you will either see an entirely incorrect city (Seattle, WA is the default city, and usually is “detected” if Geosense fails to detect your location), or will show a red icon showing that it cannot detect your correct location. 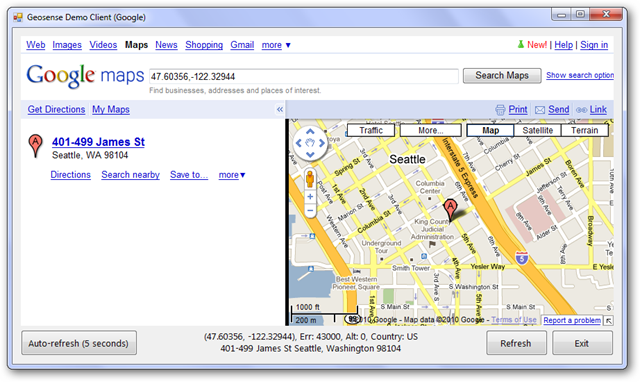 Another location aware application is a Google Maps app available from the Geosense site (link below). This will automatically open a Google map at your current location, so you can easily search for directions and nearby businesses. This could be very useful at a hotspot in a new city, for instance. Once again, though, if it cannot detect your location, it may simply show a default location or a generic Google maps. Geosense and the Windows 7 Location Platform gives you a great way to make your mobile computing experience even more interesting. Geosense brings location awareness to a much broader audience than previously possible, so hopefully we’ll see some unique and innovative uses in the near future. Until then, even the current location aware apps are fun to try!